Originally appeared on Wine – The View from Orlando – where I was a regular contributor. I recently had the opportunity to attend a tasting of the wines of Morlet Family Vineyards (Luc Morlet) and Carte Blanche. Luc Morlet comes from a Champagne producing family (Pierre Morlet & Fils, in Avenay-Val-d’Or) that spans five generations in the business. 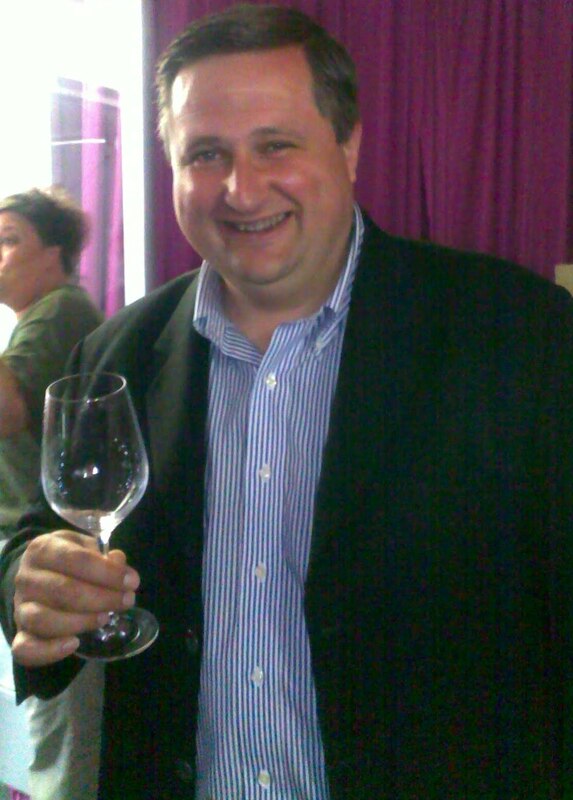 Luc earned his Viticulture degree from Ecole Viticole de Champagne, a Masters degree in Enology from Reims University, France, and an MBA in Wine Business from Dijon Business School, Burgundy. He interned throughout Burgundy, Bordeaux, and Champagne, with stops at Champagne house Duval-Leroy during graduate school, and then Val d’Or Champagne Cellars and Chateau Dauzac in Bordeaux. He replaced an assistant winemaker in St. Helena, California for a year in 1993; while there, he met a woman (Jodie) who he would subsequently marry.As the eldest son in a French family, he would have been expected to assume control of the family business. But instead, he followed his heart to California. 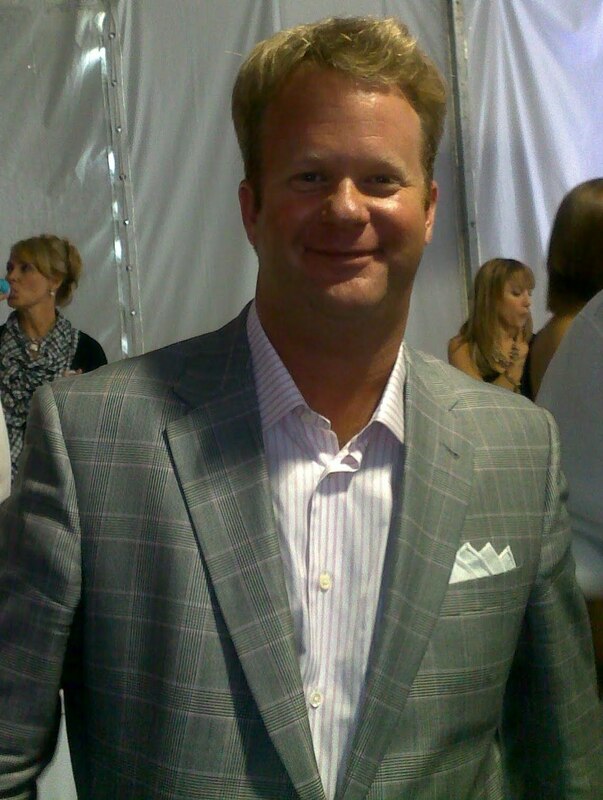 He started at Newton Vineyards where he replaced John Kongsgaard as Driector of Enology. He was responsible for the fabulous “Unfiltered Chardonnay” in the late ’90s, and collaborated with Michel Rolland on Bordeaux blends . In spring 2001, Luc joined the staff of the Peter Michael Winery as winemaker, and then in early 2005, joined the staff at Staglin Family Winery. A year later, Luc and Jodie began producing wines under the Morlet Family Vineyards (MFV) label. 2008 MFV ‘Passionnement’ Cabernet SauvignonThe ‘La Proportion Doree’ is inspired by the Bordeaux Blanc wines of Pessac-Leognan (more on this later), and is composed of a “golden blend” of Semillon, Sauvignon Blanc, and Muscadelle. The wine is actually golden in color, with a profusely floral and lemony nose. The wine is full-bodied on the palate with flavors that tend towards ripe apricot, white peach, and quince.The two Chardonnays we sampled come from the cooler areas of Sonoma – the ‘Ma Douce’ coming from Sonoma Coast vineyards and the ‘Ma Princesse’ from the Russian River Valley. Both are Burgundian in style, with the ‘Ma Douce’ showing aromas of candied lemon, panna cotta, and orange peel, with wet stone and fresh hazelnut. The wine is full, rich and creamy on the palate, with a long, mineral-driven finish. The ‘Ma Princesse’, from cuttings of the Old Wente clone, shows more green apple to accompany the lemon candy aromas, and this wine is equal to its sister in richness, body, and minerality.The Coteaux Nobles comes from the Noble family vineyard along the Sonoma Coast. This wine, although also made in a Burgundian (and feminine) style, shows the exuberance of California fruit in big raspberry and cherry flavors and aromas, almost tending to the point of liqueurs. There was also a pencil-lead-like minerality that I typically sense from Cabernet-based Bordeaux. Luc and Jodie make three Cabernet-based wines, two of which are terroir driven. The Coeur de Vallee (which we did not get to try) is made wholly from Beckstoffer To-Kalon fruit – 76% Cabernet Sauvignon and 24% Cabernet Franc. The ‘Mon Chevalier’ is from the Knights Valley AVA in Sonoma, and is a blend of the five typical red Bordeaux grapes. The wine is intensely aromatic, yielding scents of dark red and black fruit, a hint of barrel spice, flowers, tobacco, and earth. The wine is full, rich, and intense with a very long finish. The ‘Passionnement’ is a barrel select wine made from only the best barrels produced from each vintage, regardless of the vineyard. This wine reminded me of the early Garagiste wines from Bordeaux. It was dark purple to the point of opacity, with intense aromas of blackberry, blueberry, black currant, cigar box, and a hint of earth. This wine, for all of its intensity, is much more approachable right now than its sister. Luc dedicates this wine to his wife, and considers it the ne plus ultra of his wine portfolio. The other winery at the tasting was Carte Blanche, for whom Luc Morlet is also the winemaker. Carte Blanche is an apropos moniker for this enterprise once you learn its background. The proprieter is an unassuming-looking young gentleman named Nick Allen who, in passing, will tell you that his family has been in the wine industry for 75 years or so. He also casually mentions while you are trying his Proprietary White Wine (a blend of 2/3 Sauvignon Blanc and 1/3 Semillon) that the blend his family produces in France from these grapes utilizes a slightly different proportion. It isn’t until you delve deeper that you discover that Nick is the great-grandson of Clarence Dillon, and the white wine his family produces in France is Chateau Haut Brion Blanc from the Pessac Leognan commune in Bordeaux (I told you we would come back to it). The family also owns La Mission Haut Brion.The stars of the Carte Blanche portfolio are the red wines. We started with the 2008 Carte Blanche Proprietary Red Wine. Luc explained that it is called this because it is “too French to be Meritage,” the term developed in California for Bordeaux-style blends. The grapes come from a variety of elite vinyards in Napa – 40% Cabernet Sauvignon from the Beckstoffer Missouri Hopper vineyard in Oakville, 20% Cabernet Franc from the Beckstoffer To-Kalon vineyard in Oakville, and 40% Merlot from the Newton vineyard on Spring Mountain. The wine is deep purple in color, with aromas of baked cherries, cassis, tobacco, dark chocolate, and a hint of tar. The palate follows through with currant, plum, cedar, espresso, and mocha. The tannins are very fine, and contribute to a very long finish. 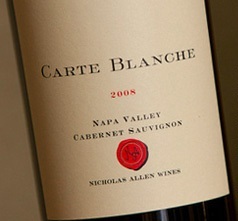 The 2008 Carte Blanche Cabernet Sauvignon is a blend of 95% Cabernet Sauvignon from the Beckstoffer Missouri Hopper vineyard in Oakville, the McBride vineyard in Calistoga, and the Link vineyard in Knights Valley, with 4% Petite Verdot (also from the McBride vineyard) and 1% Malbec from the Knights Valley. This wine is is more fruit-driven than the Proprietary Red, with blackberry and currant aromas and flavors, accompanied by hints of mocha, black pepper, and black cherry. The tannins are also fine-grained in this wine, and the wine appears to have the structure for some cellar aging.All of these wines come from people whose families have a long and storied tradition in the wine industry, but who are making their own marks and doing things their own way. 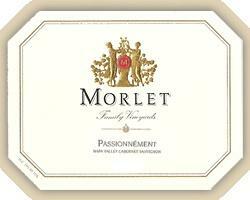 Production levels are small – from 125 to 300 cases for Carte Blanche, and from 150 to 500 cases for Morlet Family – but worth seeking out.